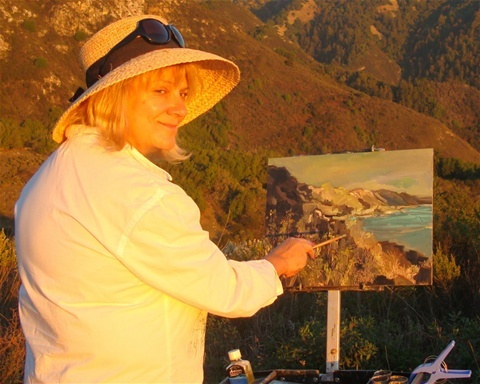 Cliffs at Big Sur...careful not to take a step in either direction or you and your easel could take a long tumble down! 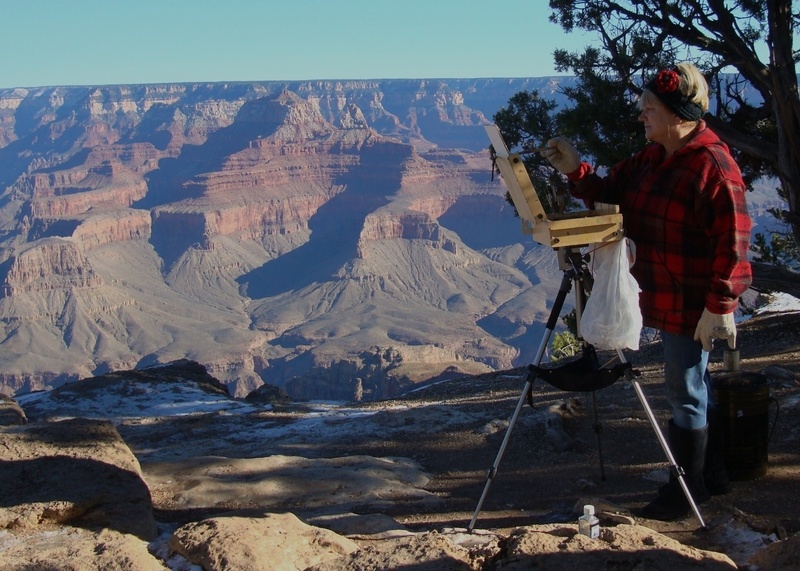 As often as I can, I enjoy painting en plein air (fancy French phrase for painting outdoors to capture the existing light). This type of painting is not for the faint hearted... you have to work quickly and often in adverse conditions, be it extreme heat, rain, blizzards,high winds...or worse! Many a painting has left my easel and gone airborn in California's Santa Ana winds. You have to love those carpenter ants also. They seem to enjoy nibbling on your ankles.. must be their dessert! Oh.. forgot to mention friendly snakes and curious rodents! Sometimes the scenery is sooooo.... distracting. A cold November day at the Grand Canyon. Note...you cannot look glam painting on site. 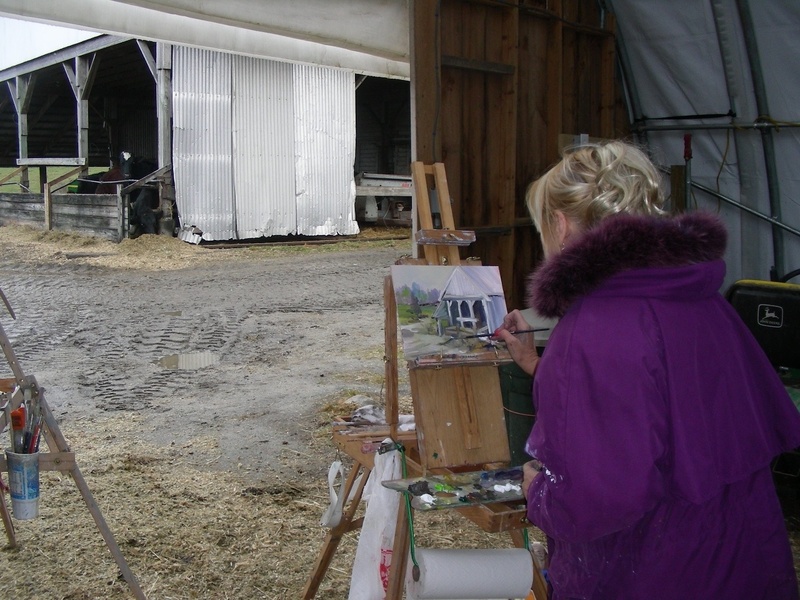 Cow Barns help when its freezing outside. The cows also seem to enjoy the entertainment- it breaks up their day! Sometimes the smell is a little overwhelming though. Site: Farm in December in Millbury, Massachusetts.